The 550 ml Single Wall Cup is great for serving cold beverages. 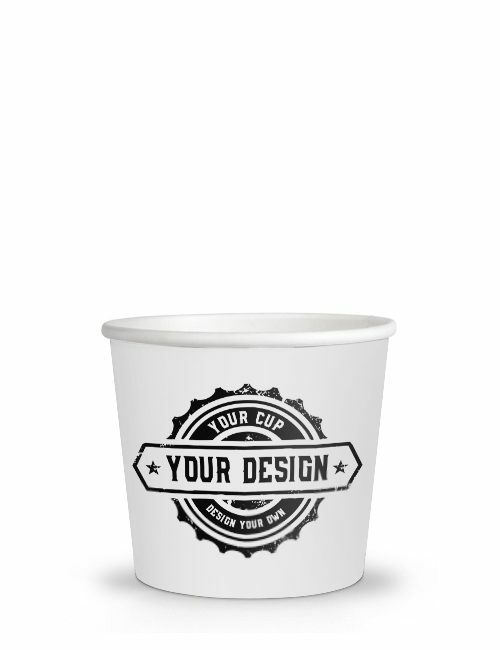 This classic paper cup is a single wall design, which means only one layer of board is used to make it. 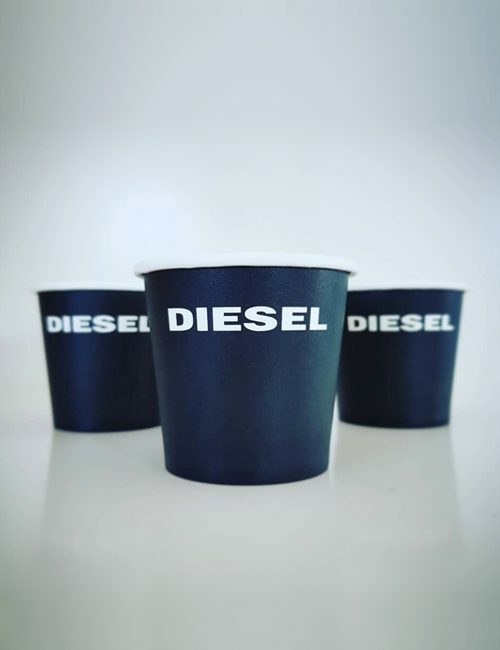 Yet, if you combine our Single Wall Cups with our custom printed sleeves, you can use the Single Wall Cups to serve hot beverages too! Promotes your brand effectively everywhere – at events and conferences, in restaurants, cafes and coffee shops, and throughout the hospitality or catering industry. 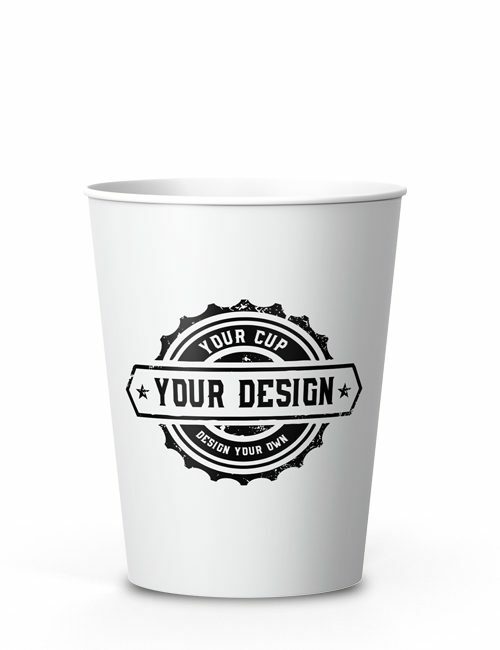 CupPrint’s paper cups are powerful ambassadors of your brand. Carrying your logo or marketing message, they are ever present and contribute to the enhancement of your business. Be sure to display your brand image at its best with our Single Wall Cups – our large 550 ml Single Wall Cup is sure to leave a big impression! 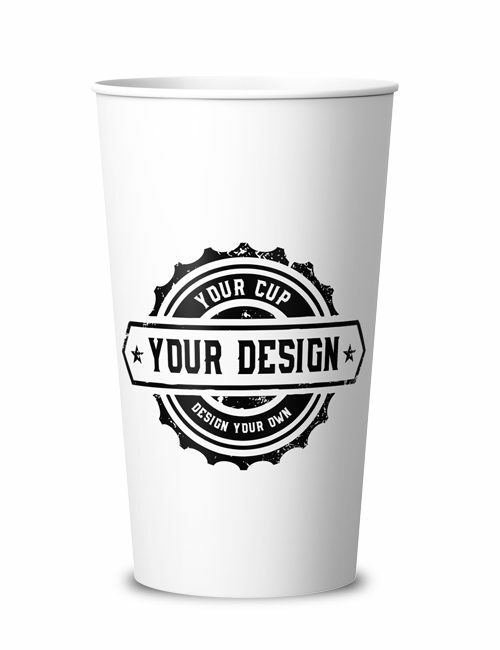 Lean on our choice of supreme quality paper for your Single Wall Cups. A rigid 310 gm boxboard guarantees a wall of very durable and high quality paper for your personalised CupPrint paper cup. Our full colour and process inks are all food safe and odourless. To make the images on your Single Wall Cup appear professional and flawless, we use only the highest resolution. Let us cover your large and small orders today. 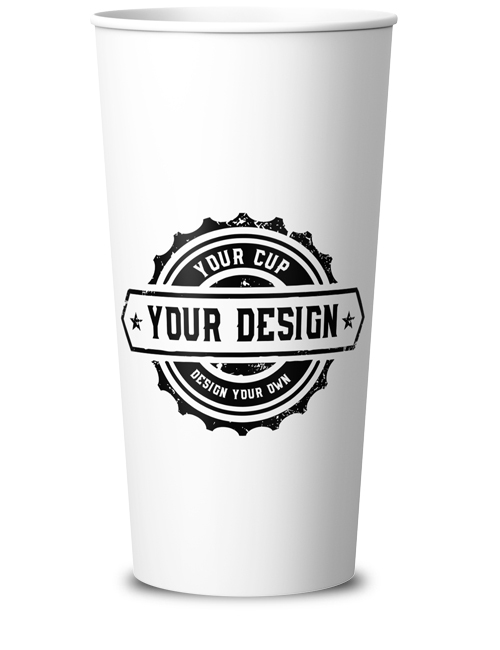 We cater to companies who need 1,000 to 250,000 unit cups. 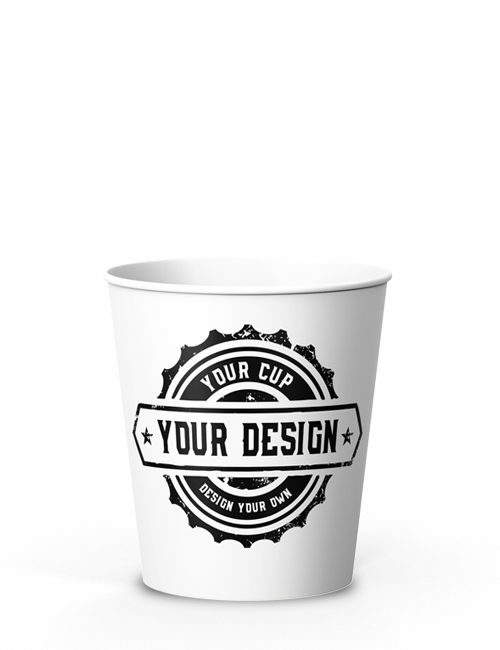 With CupPrint, your order will be processed without delay and your 550 ml Single Wall Cups will be delivered to you within 14 working days. For your individual Single Wall Cup 20 oz design we provide you here our rectangular template as PDF for download.